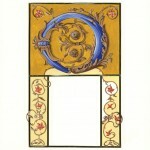 Click any image to view the complete gallery as larger images. 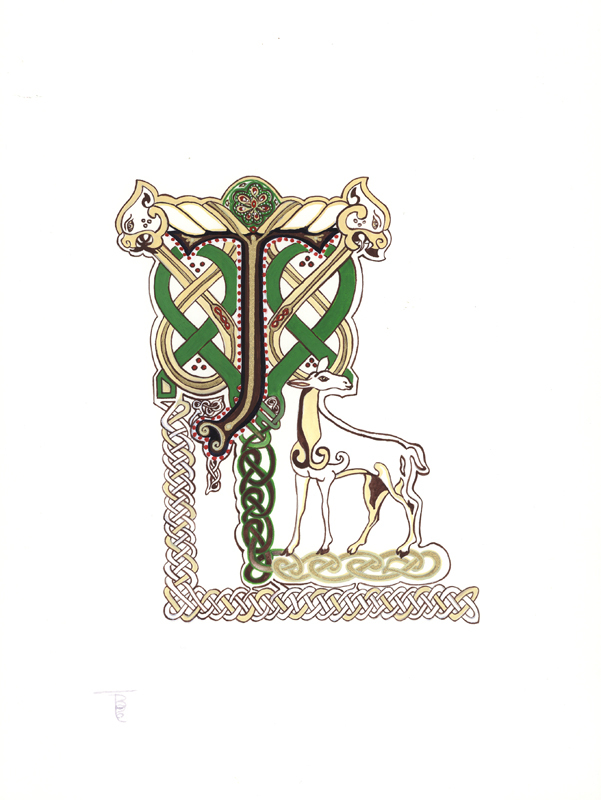 Illuminated letter J, Celtic knots style, for the month of January. 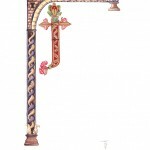 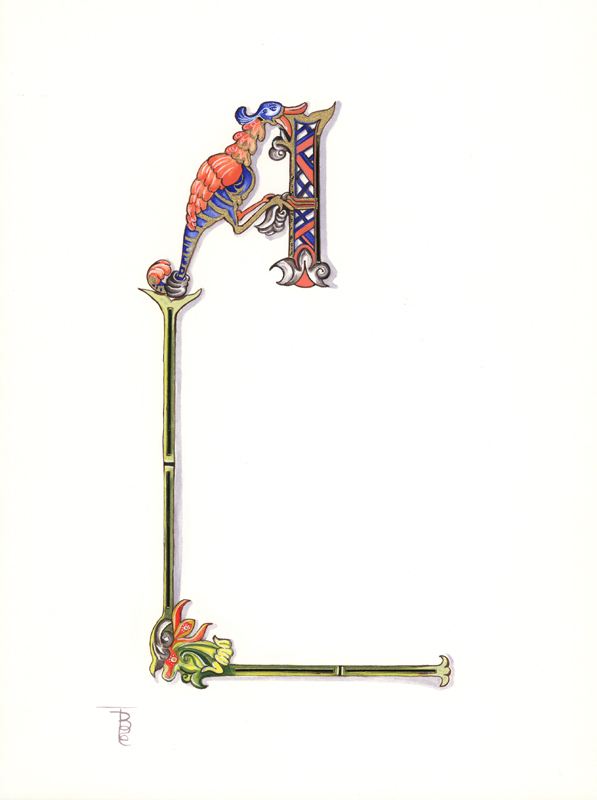 Illuminated letter F, Ottonian style, for the month of February. 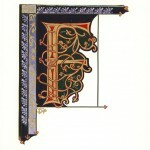 Fancy borders winding down, That might adorn a princess gown? 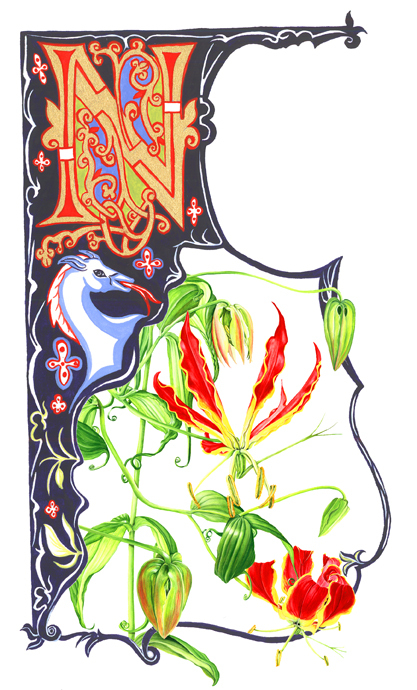 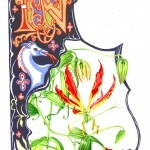 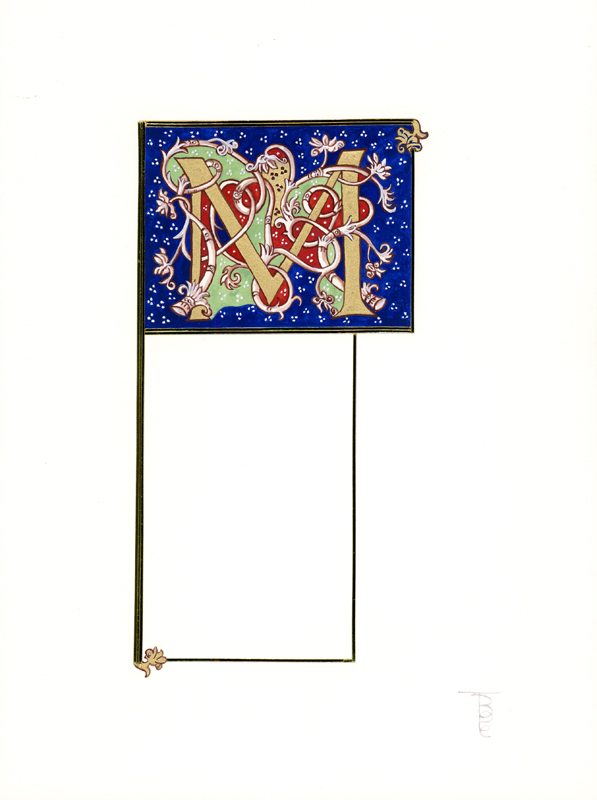 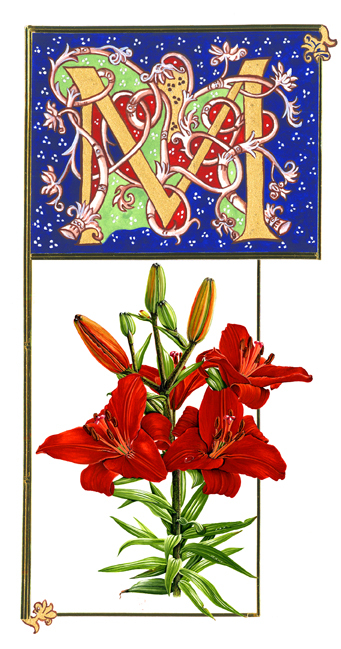 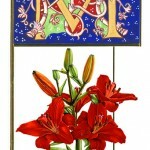 Illuminated letter M, White vine style, for the month of March. 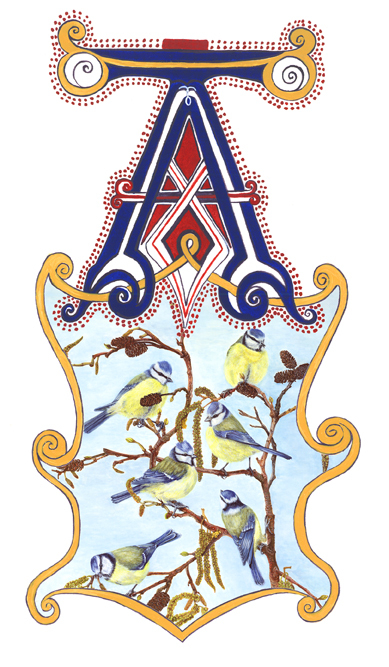 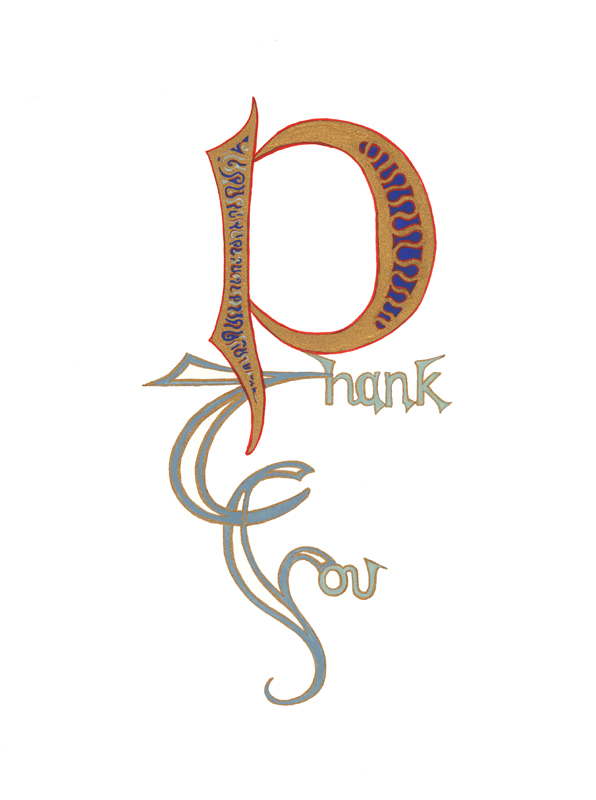 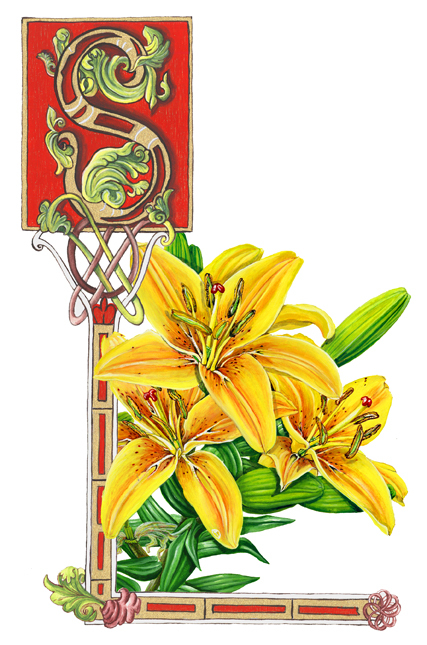 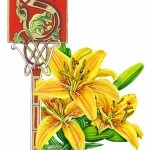 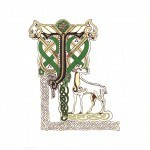 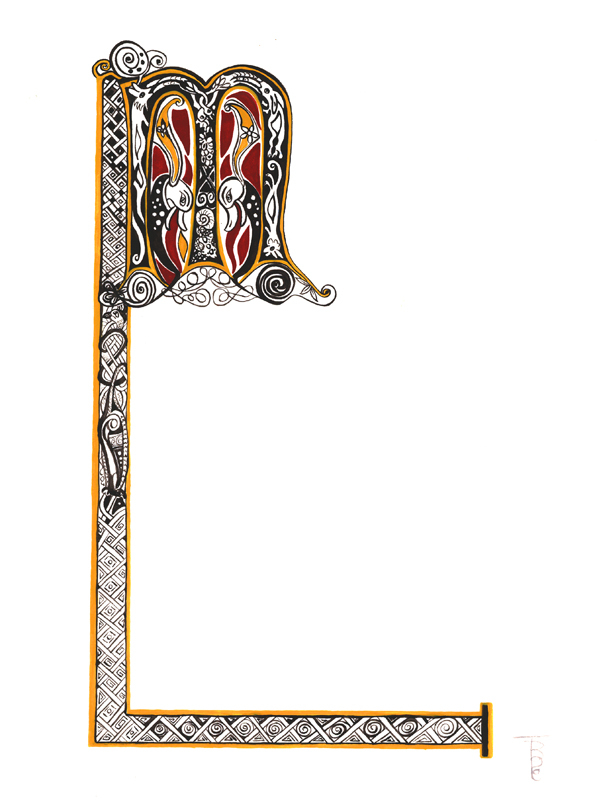 Illuminated letter A, celtic design, for the month of April. 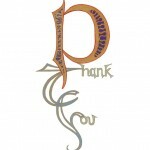 Provide a show for you and me! 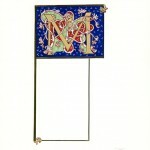 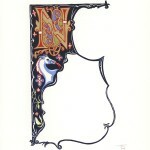 Illuminated letter M, Gothic style, for the month of May. 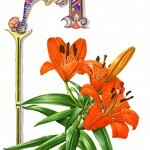 or just enjoy the ‘lily fan’! 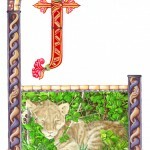 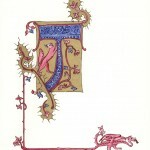 Illuminated letter J, Romanesque style, for the month of June. 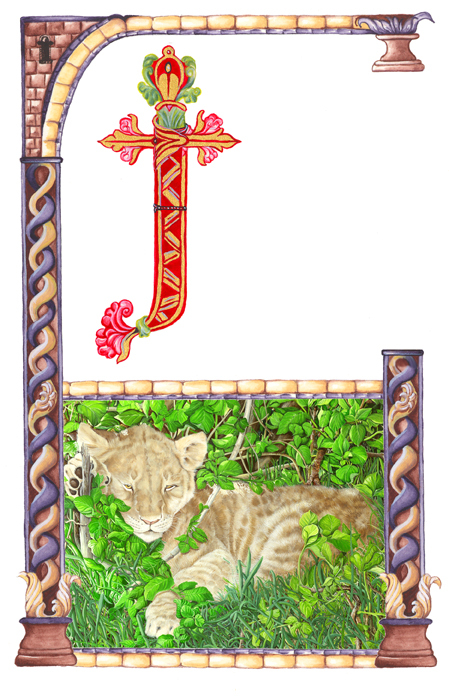 But now no Christians are in bat, Just one plum-tuckered, real kool-kat! 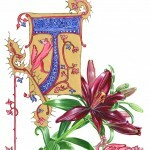 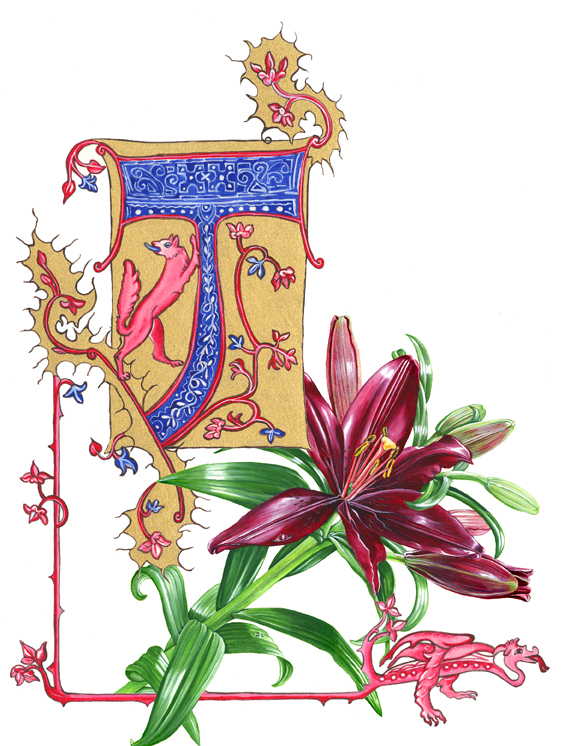 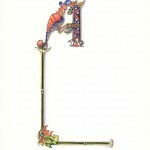 Illuminated letter J, Gothic style, for the month of July. 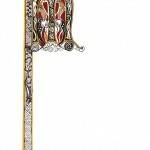 In Gothic halls grotesqueries reign, To calmer times, appear quite bane. 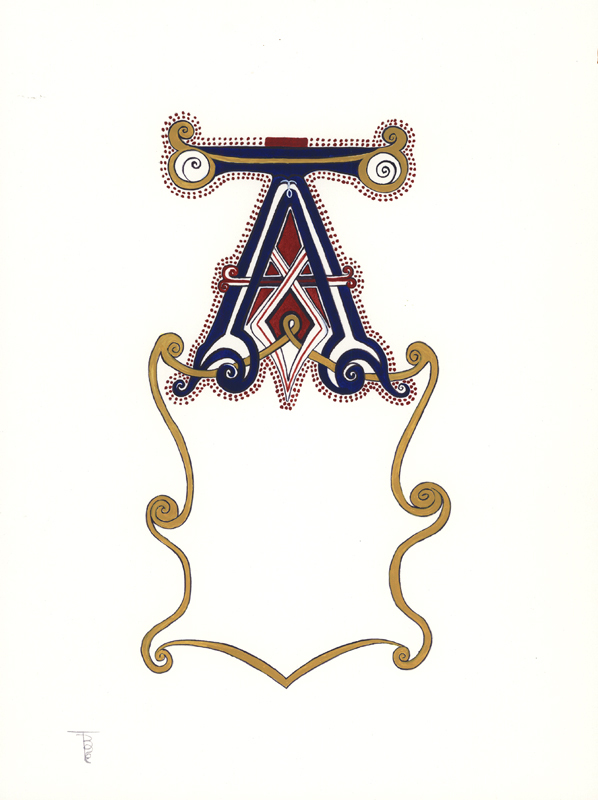 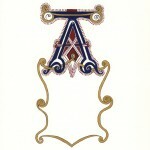 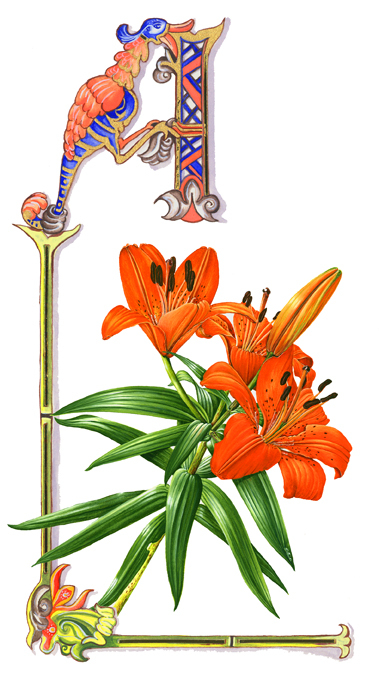 Illuminated letter A, Neo-Classical style, for the month of August. 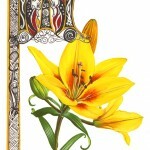 With golden bird and colour loud! 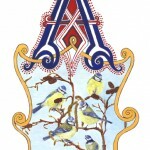 Or quacking duck who wants some tea? 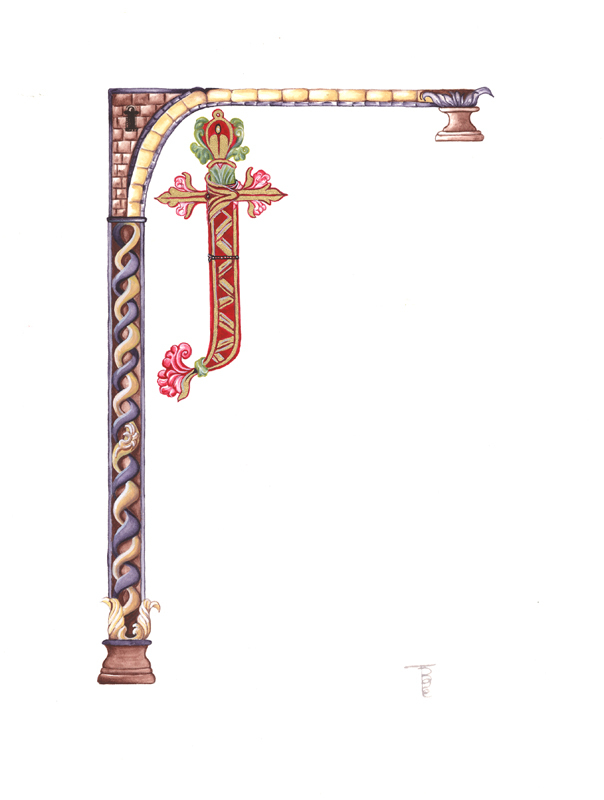 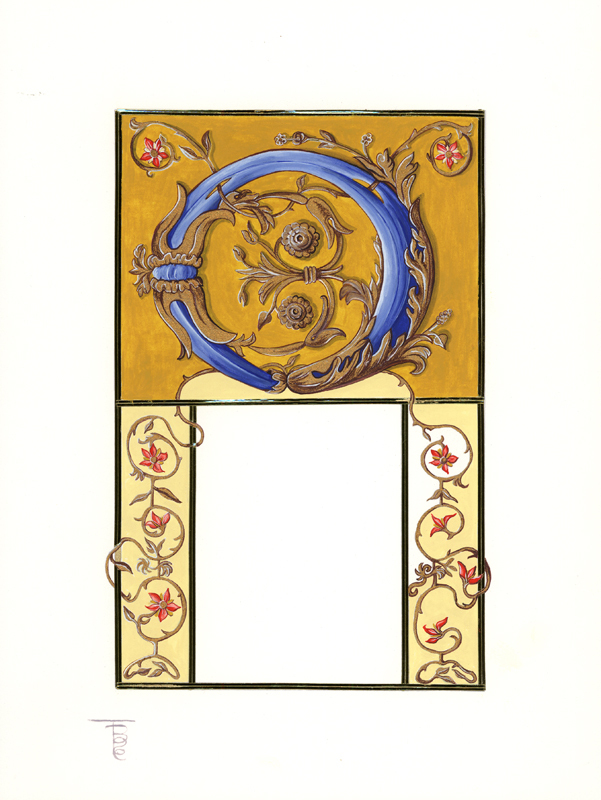 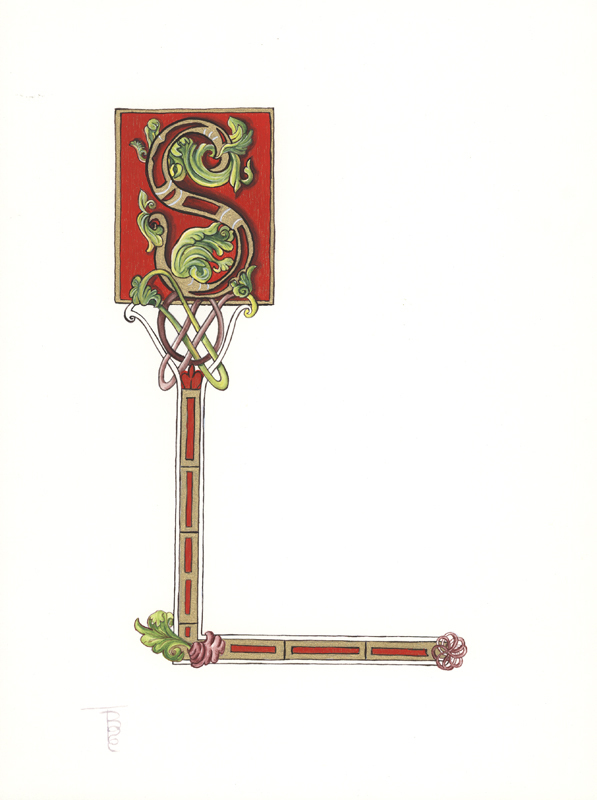 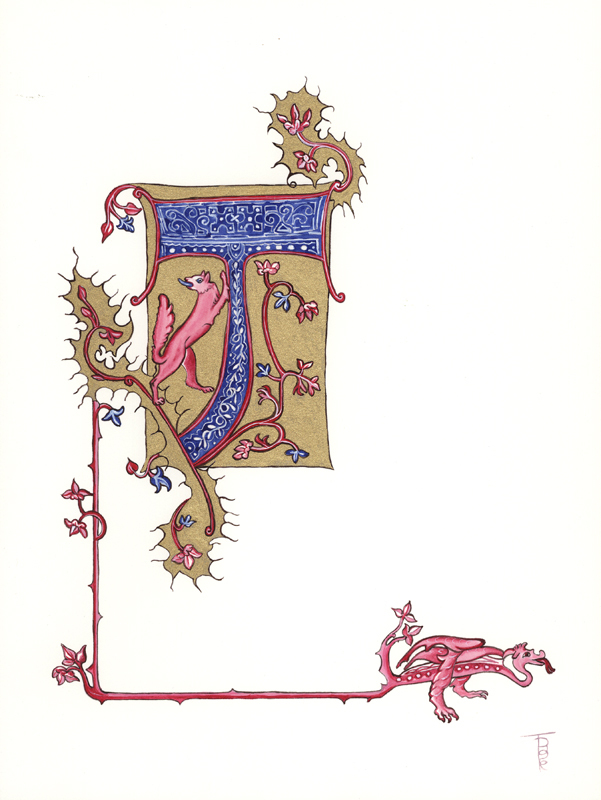 Illuminated letter S, Neo-Classical style, for the month of September. 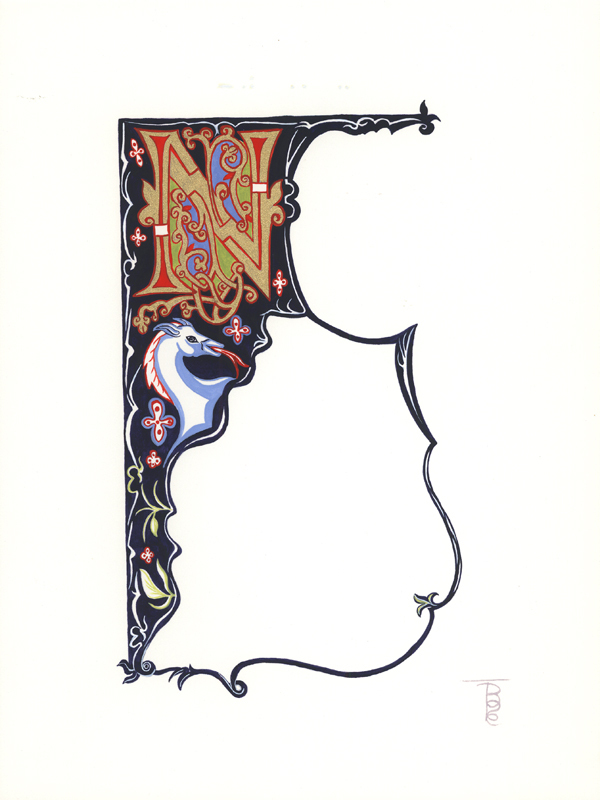 Illuminated letter N, Ottonian style for the month of November. 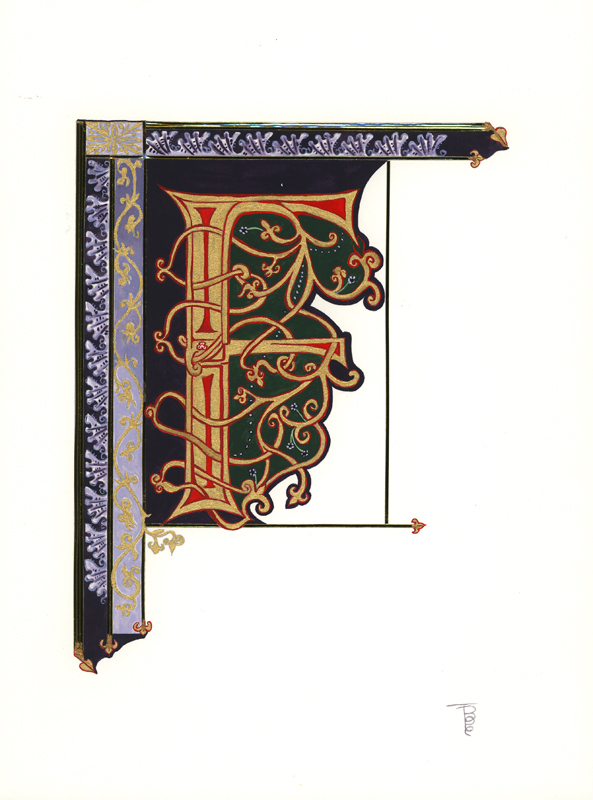 Illuminated letter D, Gothic style, for the month of December. 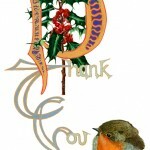 ‘Yes, That’s good! 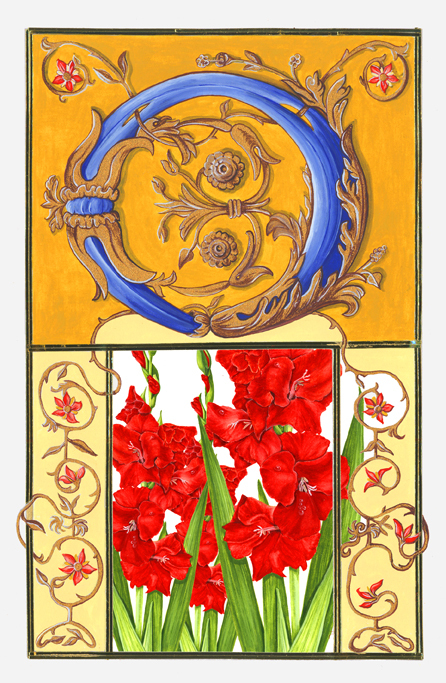 Yes, that’s okay’. 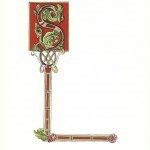 repent and join me up on high. 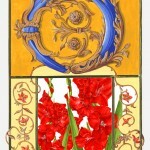 home to each and everyone. 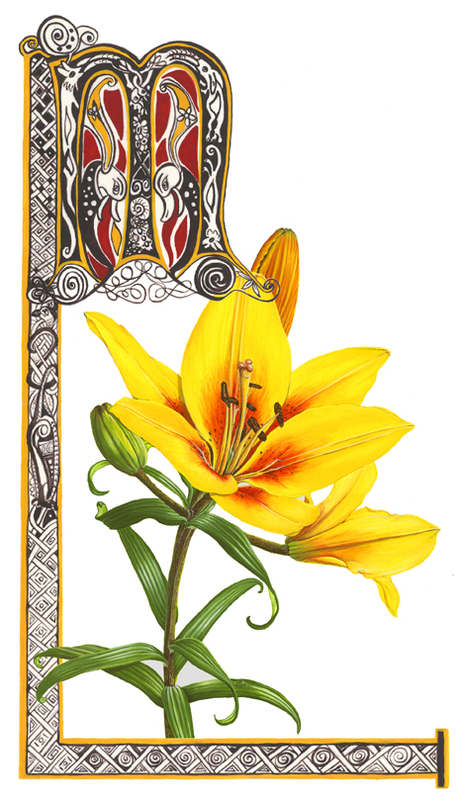 sing it loud and you’ll be heard. 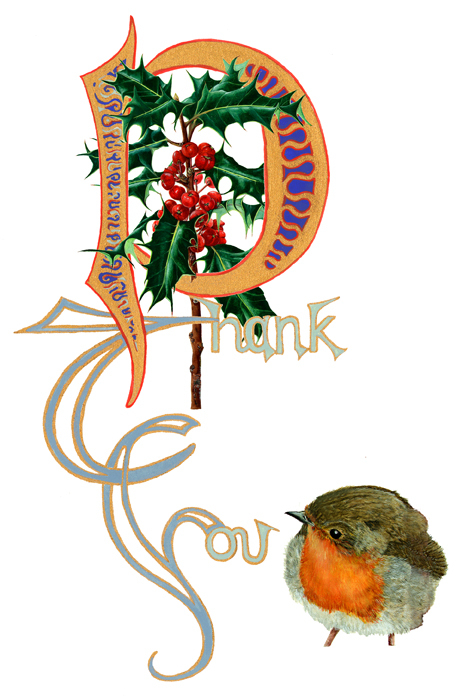 and make the world a pleasant place.